Join hosts, Sam and Patrizia in the first part of our 2 part series on the Peachtree Corners based company, NanoLumens. Up-close and in-depth, this video shows LED displays installed in top world airports by NanoLumens. 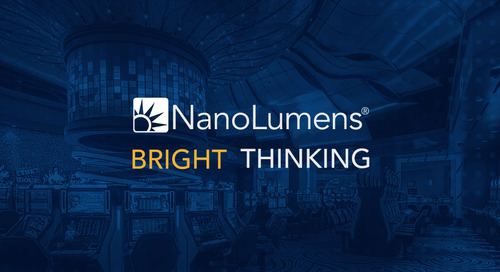 A brief yet thorough overview of NanoLumens AWARE. An animated overview of what NanoLumens offers, featuring AWARE. Video of NanoLumens LED Displays at Changi Airport in Singapore. Courtesy of Changi Airport Group. 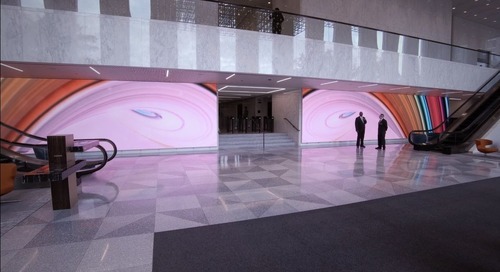 NanoLumens LED displays in the lobby of Chicago's Prudential building. An inside view of Telstra's CIC with NanoLumens displays. Amazing video featuring time-lapse footage of Telstra's Customer Insight Center's launch with NanoLumens LED displays. Time-lapse video of circular LED display from NanoLumens at the Atlanta Brave's new ballpark.